Coaches dry erase lap boards from OptiMA Graphics are the best! No matter what your sport, if you're a coach we've got you covered. 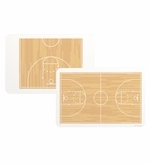 12" x 18" Coaches hand held dry erase boards. Plan strategy and explain the play... nothing gets through to a player better than a visual image. Stop assuming that your players know what you're talking about and show them on your own dry erase board custom built with your sport in mind. 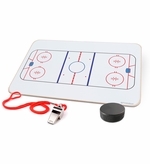 We have stock images for ice hockey, soccer, basketball, football and baseball but custom images are always available. 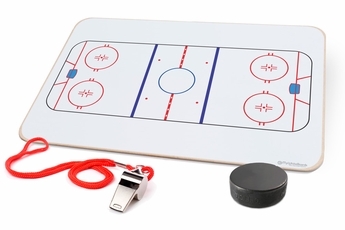 Our double sided, dry erase coaching boards are completely made in the U.S.A. by skilled American craftsman!